Scotland is world-renown for its industries of shipbuilding, fishing and oil. However, these days only a few shipyards survive, fishing became embroiled in politics and its North Sea oils income has been swallowed up into Britain's overall economy.Thanks to the Industrial Revolution, Scotland is still a hub of services and goods industries and is now in the business of whisky, textiles, shortbread, salmon and beef, as well as modern-day commerce such as banking and computer software. 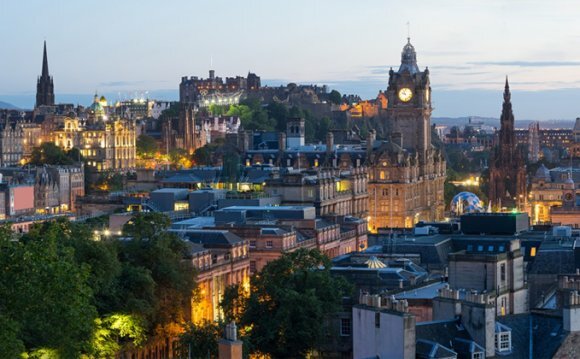 The country's capital of Edinburgh is the centre of its financial sector, with many companies making it their home. With the city's castle, shopping district and annual arts festival, tourism also provides substantial employment.Glasgow exports more than 60% of manufactured goods and Aberdeen is in charge of the country's oil and gas production in the North Sea. Agriculture is also another string to Scotland's bow. Scotland has an overall employment rate of 70.7%, the second highest of all four UK countries. Expect to see recruitment agencies advertising for staff across a wide variety of sectors, the largest being electronic technologies, for which it is a centre of excellence, as well as financial services, energy, life sciences incorporating stem cell sciences, drug discovery and bio-manufacturing. Scotland's population has a higher level of top qualifications than Great Britain, with 43% of people being educated to NVQ 4 level or equivalent, however there are more unqualified people in Scotland overall. If you wish to narrow down your search for a recruitment agency, please select from one of the counties below.